Pentre Bach Bunkhouse has plenty of availability for September to December with Bach Ventures offering outdoor activities in Snowdonia. 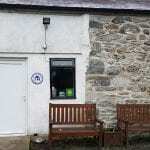 Pentre Bach Bunkhouse has have plenty of midweek and weekend availability for September to December for sole use or sharing. Bach Ventures onsite, offer outdoor activities if you are feeling adventurous . Choose from Gorge scrambling, coasteering, mine exploration, kayaking, sea kayaking or climbing.